The article just shows the system of art education in Belarus and can’t be treated as encyclopaedic knowledge. 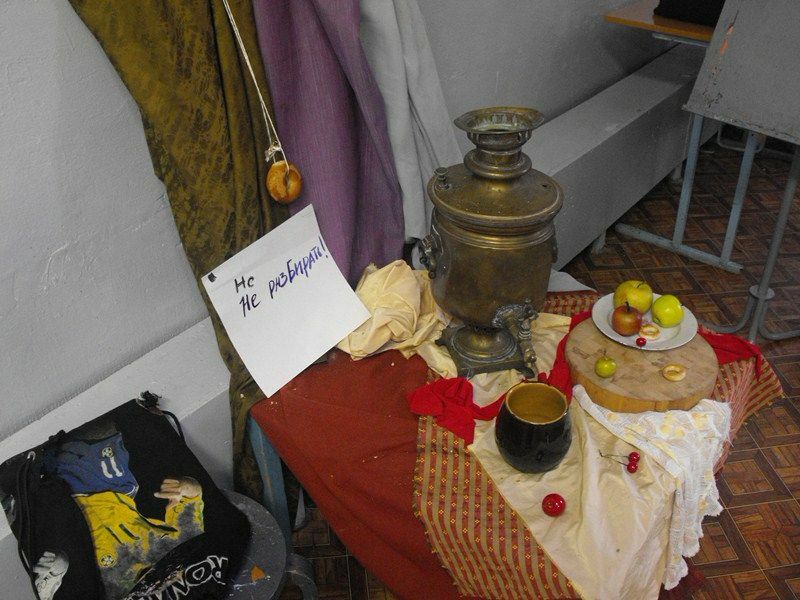 Often we hear «your traditions», «Belarusian traditions» … or «German traditions», «French traditions», «Czech traditions» … no matter, at the end of all these phrases comes: "School! Well…", or «It’s typical for their art school». But, as a rule, the word "school" means the local traditions ignoring its main meaning - educational system. A school is the place to understand the world, the art and the ego. The school greatly defines the future of the pupils. Let’s answer these questions. That, probably, will make the concept «the Belarus school» clear for the foreigners. 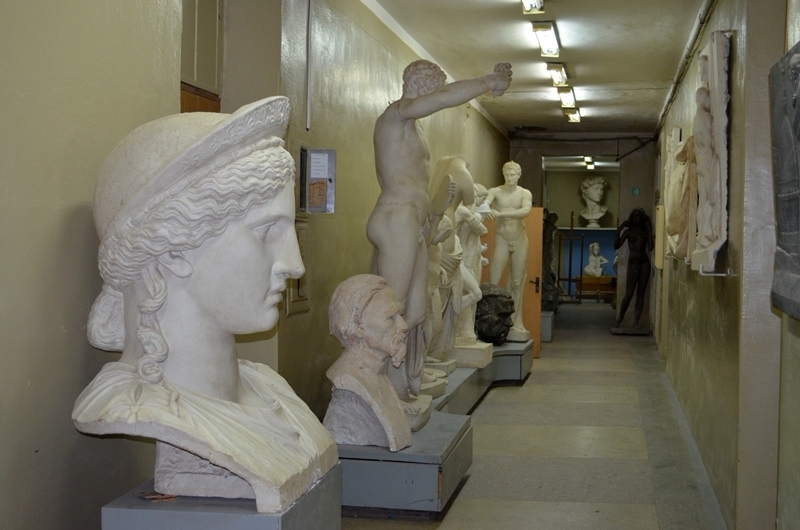 Nowadays there is mostly classical art in Belarus. We have rather few organizations working with conceptual art, synthetic art and other kinds of «contemporary art». 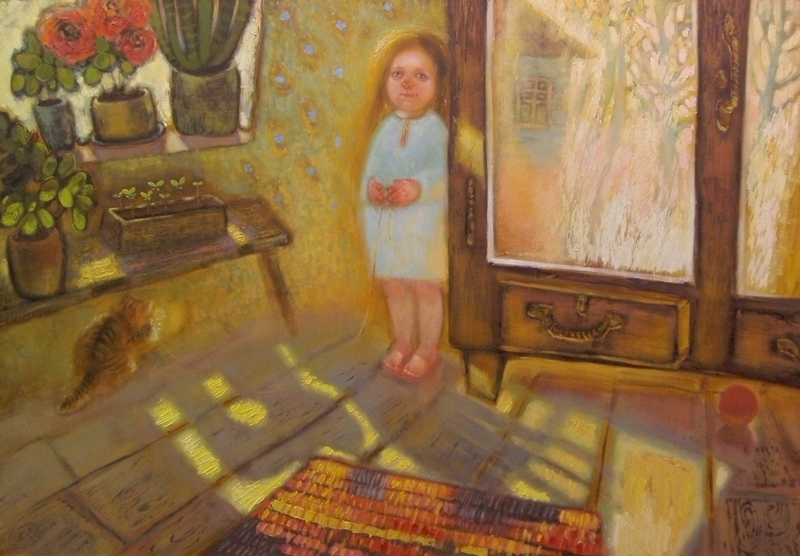 Therefore once again it is important to explain the system of Belarusian art education. In the first place - all the educational institutions in Belarus (and artistic too) – are state ones. That means that everywhere, in all areas, in any the smallest village school teachers use the single state curriculum (in all fields of knowledge). 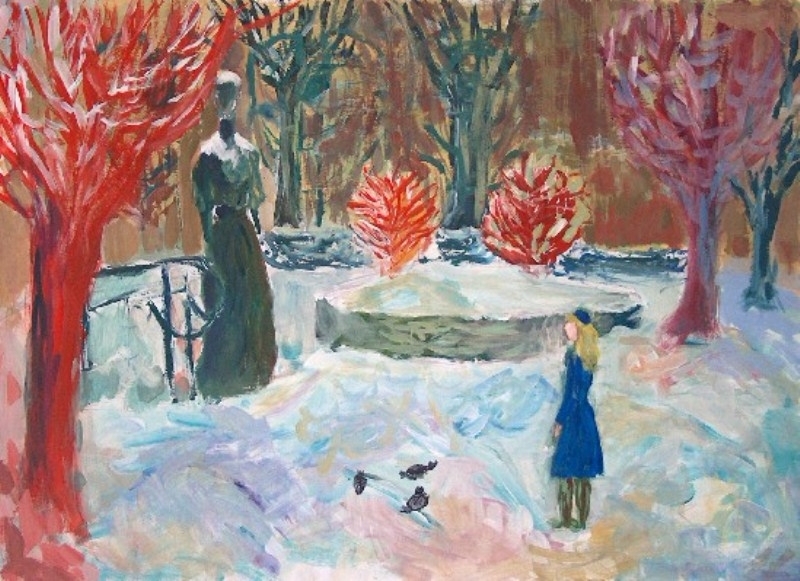 Private art educational institutions in Belarus may be exist but don’t influences the general process. 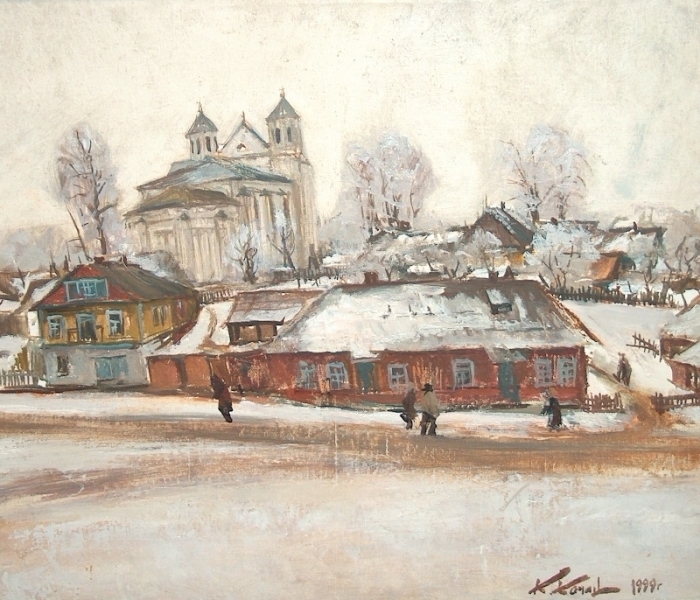 In the second place - the system of Belarusian art education is based on the Soviet Union’s one. And by-turn the system of the USSR was based on Imperial Academy of Arts of St.-Petersburg. In Soviet Union «the socialist realism» was the only method of art. If to reject "socialist" we get a combination of realism and classical academism. At that time there was formed logical and powerful teaching system. Remembering the idiom “to throw the baby out with the bath water” (Germ. Das Kind mit dem Bade ausschutten) Belarus tried to save that heritage. This is the source of realism and classical approach in art education. In general, almost as Salvador Dali told: «Begin by learning to draw and paint like the old masters. After that, you can do as you like; everyone will respect you.». I don’t warrant the literal accuracy of the citation, but most of famous artists of the twentieth century fallowed that way. In primary school there are "drawing classes" for children from six till ten years old. The main aim of these lessons - general development of creative thinking, colour perception and motor movements. We woun’t treat it as art education. 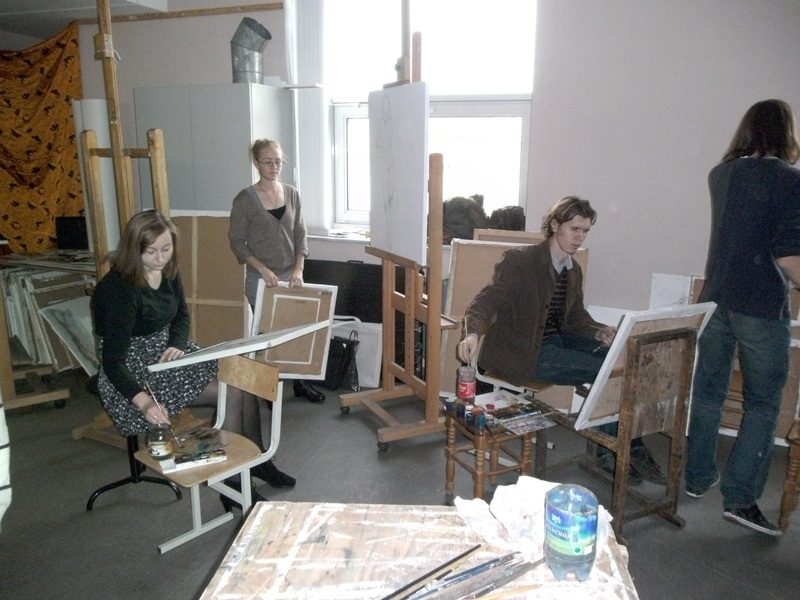 In fact, there is three-stage system of art education in Belarus: art school, art college, and higher educational art institution. Within the single educational system each of these stages gives approximately the same gradually complicating the problems. So, we are close to the questions “Who?” and “What?”. First stage is art school. It is separated from the secondary school. It is not for future artists but for aesthetic education. Children from 8 till 15 years old normally attend such schools. Naturally, these children have different age psychology. Therefore, we can define three main steps in art school: to liberate, to interest, to teach art principles. The first two steps are not interesting for us. They are mostly to awake children’s interest in art. Though even at this stage children unwittingly get the primary art skills. But the third step… It is based on academic art. There are everpresent "drawing" and "painting". Teaching of these subjects is classical. “Studie*, Studie and once again Studie! We can’t talk about art education in Belarus without analytical studying of world within “Studie”. 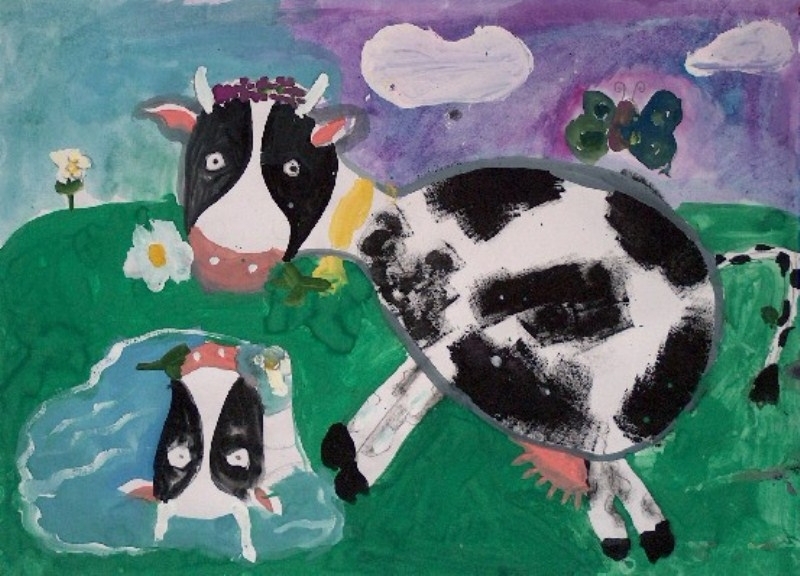 Pupils can realize their creativeness at “composition classes” (it is greatly depends on the teacher). And to prevent them from “reinventing the wheel” there is a short course of “history of arts”. But the art school ends after the ninth year of secondary school. Then teenagers must clarify their ways. Here we approach to the second stage: art college. We should mention that it is very hard to enter the collage without the knowledge of art school. In college there is education similar to academic one. There are also “drawing” and “painting” with Sthudie. 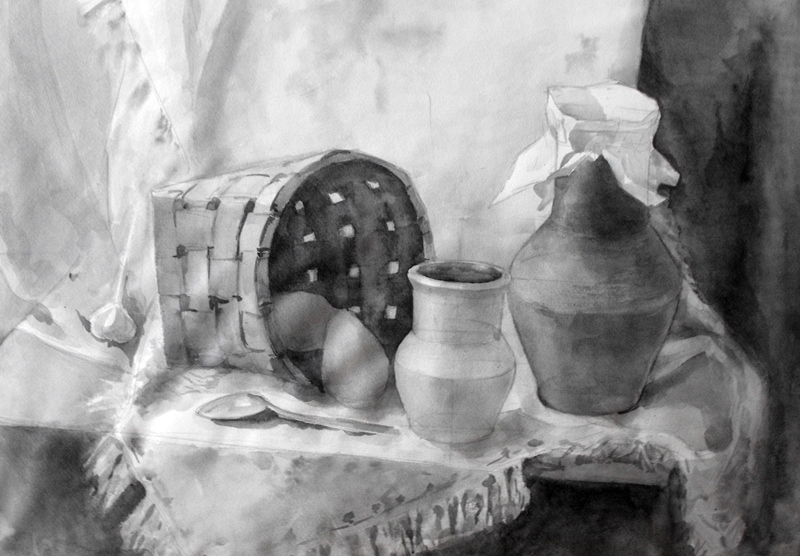 The tasks become more complicated and students pass on to models from still-lifes. They get new classes such as "perspective" and “plastic anatomy”. Funny, but students’ favorite textbooks in plastic anatomy (in collage as well as in art academy) are by Gottfried Bammes. Most of the students as well as teachers don’t know German! But illustrations! But diagrams! There appeared legends where the great German lives and works: may be in Dresden, may be in Berlin etc… this is not essential. The algorithm of art school continuous: to create a composition we need classical, academic tools, we must know natural surroundings and be able to transform them in our way. Various departments have specific disciplines. Course “composition” at “painting department”, “arts and crafts department” or “design department” differs greatly. Specialization. At the end of college education students do independent diploma works. No one expects a young artist to create “Jaconde” but there are two main criteria to estimate the final work: idea and professional skills. In Belarus there is 10 degrees scale. Graduating the collage young artists have a choice. They can stop professional education and work. Belarusian college provides placement of graduates. Depending on a specialty the graduate can find a work place. Many people prefer this way. Mostly these people don’t participate artistic life. But there is also the third stage. Higher educational institution. In Belarus: Belarusian state academy of arts (Minsk), Belarusian state university of culture and arts (Minsk), Vitebsk state university named after Peter Masherov and a number of other institutions with art departments. The most of these institutions have specializations. 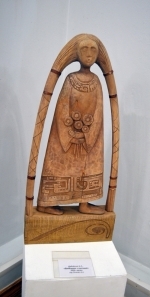 For example Institute of culture provides folk arts. 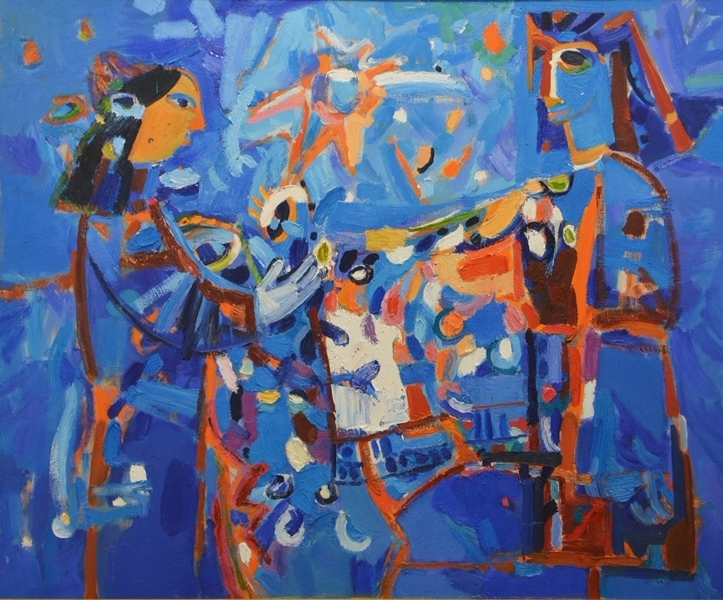 But the highest point of art education is Belarusian state academy of arts. There is definite professional differentiation. 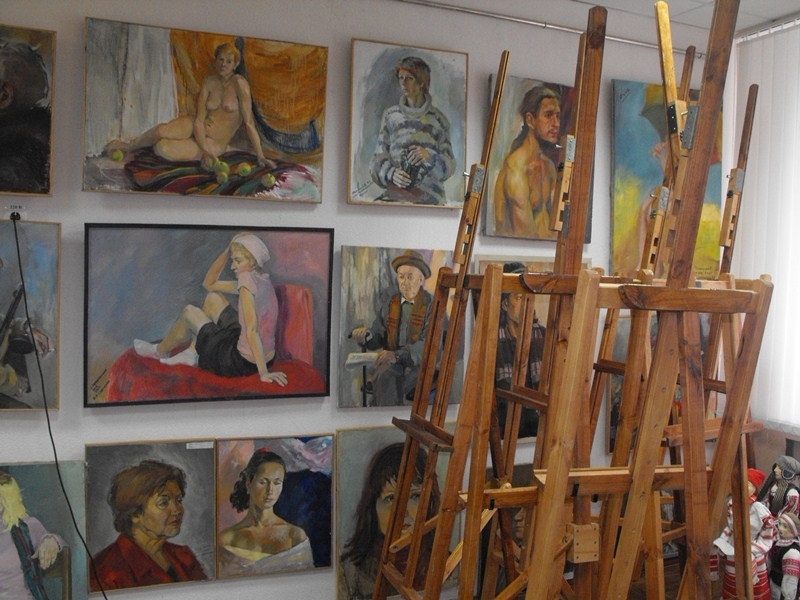 There are departments of “easel painting”, “monumental painting”, “graphic”, “sculpture”, artists of glass and metal, design of all kinds** … Entrance examinations in academy based on “studie drawing” and “shtudie painting”. And "composition" that depends on the department. During the period of education a student must constantly prove the academic skills. In Academy a young artist gets a little bit more freedom to experiment but still within the limits of classical art. But there is great chance to meet ruthless criticism. The teachers demanding "Soviet" school don’t ignore modern processes, but let experiment just after learning "school". To refuse something, it is necessary to understand - what? If to break the law - to do it consciously. Such position have majority of the teachers. If you can? If you can it consciously? So you are an artist. And the form of self-expression doesn’t matter at all. One of the most popular phrases among the Belarusian artists - the citation of old satirical novel: “As artist to artist tell me if you can draw?”. Depending on intonation this phrase can be a friendly joke as well as sharp criticism. But the question is exactly about the skill to make an image. The question about the “school”. This phrase reviles the main idea of being Belarusian artist - to be able to draw. I do not know, if it is good or bed, if it is “the day before yesterday” or “heritage” kept for future? 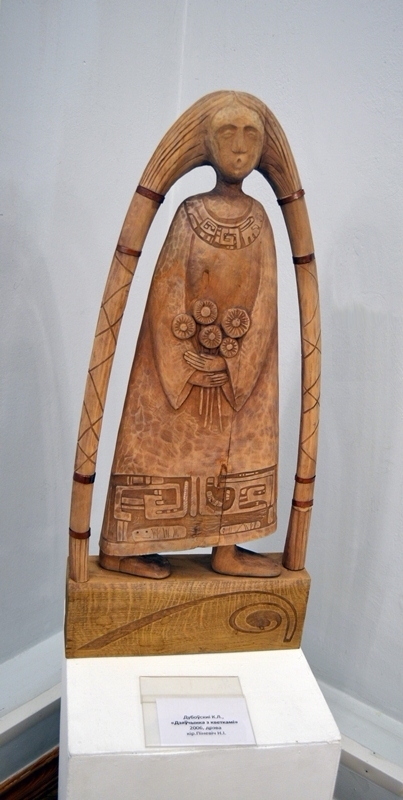 I do not know, who is right talking about art, but mostly I like Belarusian art. Because I have the same “school”. 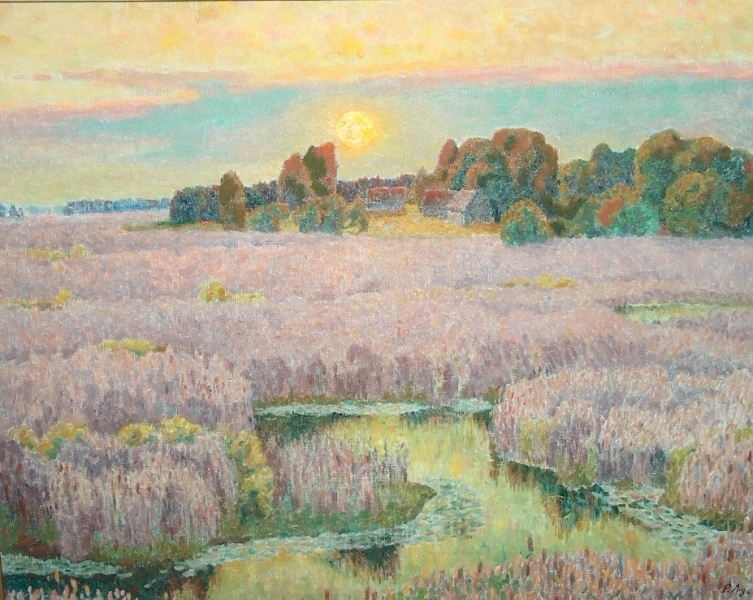 * "studie" – German word “Studie” (study) is used in Belarusian art education in meaning “detailed study of nature”. We would like to say a special thank you to Gomel state art college, Minsk state art college named after A. Glebov, Belarusian state academy of arts, Art gallery by G. Vaschenko and "GomelSportServis Ltd." for permission make photos of educational process and works of art.